This blog post is part of a paid DISH #FreeHopperGO blogging program. The opinions and ideas expressed here are my own. Today, everyone seems to be offering the ability to stream,and the cloud has never been a more powerful force. But what about those times when you can't access high speed internet? That’s when you realize just how limited we still are today. That's why I love the concept behind HopperGO, since it offers untethered entertainment you can take with you—traveling on the go, in the car, even camping in a remote part of the country where there's no internet service. I've had great experiences with DISH in the past when I was a customer. They tended to be one of those few companies that was somehow able to blend great customer service with a great product that was constantly being improved upon ... and deliver it at a great price. Today, they are continuing that, with HopperGO. I'm really excited for this portable DVR since previously, the rights holders weren't about to let their precious content escape from the box where you saved it. 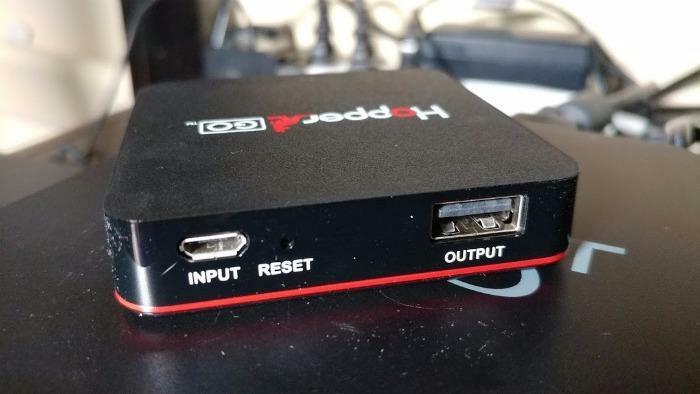 Sure, you could stream recorded shows from your Hopper DVR but that only works if you have a fast, stable internet connection to stream to. Their solution to that challenge is simple ... offer a device that maintains those same protections while giving you the freedom to take those shows and movies with you. HopperGO delivers exactly that and is powered by an internal battery that lasts up to 4 hours and can be charged by USB. Plus, it can hold up to 100 hours of shows. That's more than enough to store every episode of Game of Thrones! HopperGO easy to use. Simply connect it to your Hopper DVR then transfer recorded shows to the HopperGO, though some restrictions exist based on preferences controlled by the rights holders. Once you've downloaded your favorite shows, take it with you and connect up to five devices to it via Wi-Fi by using the HopperGo app. There's no internet access required, so you'll be able to use this wherever you might be going. For me, this is especially important because I can now take it with me when I cruise or even on a road trip (while someone else is driving of course!). This gives me a chance to catch up on my favorite shows - wherever and whenever I want. 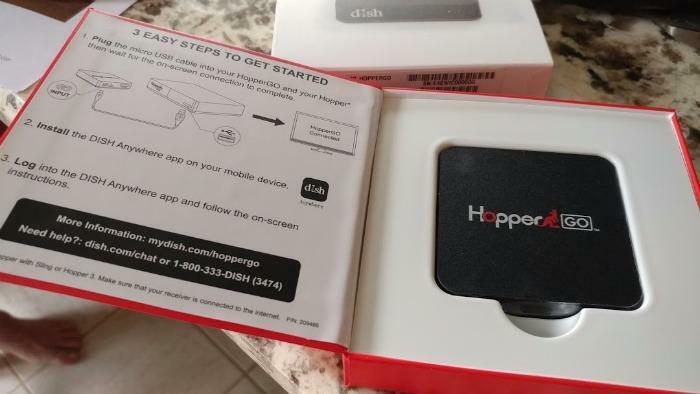 HopperGO is normally $99, but right now through Dec. 11, new customers who sign up for DISH (by visiting and calling from the Cyber Monday promotion site) can get the HopperGO for FREE. The offer only applies for new DISH subscriptions (which must include a DVR: Hopper 2 or Hopper 3) and new customers must mention the offer code “Free HopperGo” upon calling the number from the promotion site.